Looks like there are many surprises in store for Bollywood buffs this year! And adding to that list is this latest announcement. 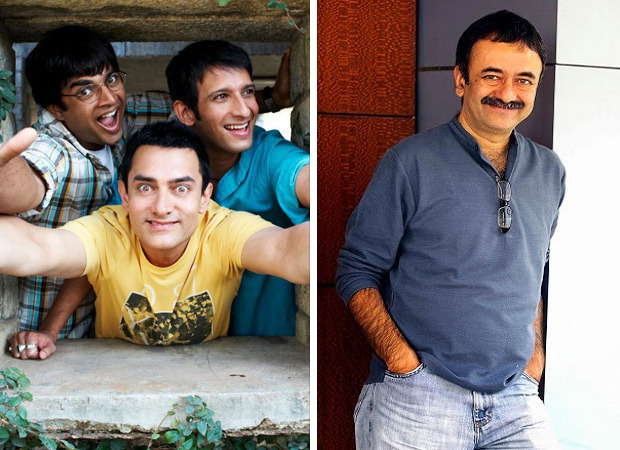 Rajkumar Hirani has confirmed in recent media reports that he is planning a sequel to 3 Idiots. Although, it is yet to be seen if the same cast of Aamir Khan, Madhavan, Sharman Joshi and Kareena Kapoor Khan will be repeated. Even though it’s been a decade since the film has been released, it is never too late for a sequel, especially that too the blockbuster 3 Idiots. The film managed to become not just a cult but one of Aamir Khan’s most successful films. It not only rocked the Indian box office but also Chinese box office when it released in the country. And this news has only triggered the curiosity of movie fans. But alas! Rajkumar Hirani doesn’t have too much information on the film front. However, he has asserted in reports that he is thrilled to take the franchise ahead. He went on to add that he is working on something with his co-writer Abhijaat Joshi. Yet he refrained to delve deeper on that since all of it is in the initial stages. He maintained that they started writing only a few days ago and there is quite a bit of time before it develops into a proper script. As for Rajkumar Hirani, he is currently busy with the promotions of Sanju which is just over a week away from its release. Post that if there is something that he will start working on then it is Munna Bhai 3. The speculations about this Sanjay Dutt franchise being taken ahead has been doing the rounds since years. But now sources have reportedly assured that the script has been locked and Hirani will start work on it soon. On the other hand, speaking on 3 Idiots sequel, well it seems that fans will have to wait for it a bit longer. It is being said that it is only after Munna Bhai, will Rajkumar start work on the Aamir Khan starrer. From pre-production to casting, all the details for this second installment is yet to be locked. It is also left to be seen if the story will take from where they had left it in the last installment of the comic caper. Is Priyanka Chopra dating Nick Jonas on the rebound?